Faults are often embedded in low-velocity fault zones (LVFZ) caused by material damage. Previous 2D dynamic rupture simulations (Huang and Ampuero, 2011; Huang et al., 2014) showed that if the wave velocity contrast between the LVFZ and the country rock is strong enough, ruptures can behave as pulses, i.e. with local slip duration (rise time) much shorter than whole rupture duration. Local slip arrest (healing) is generated by waves reflected from the LVFZ–country rock interface. This effect is robust against a wide range of fault zone widths, absence of frictional healing, variation of initial stress conditions, attenuation, and off-fault plasticity. These numerical studies covered two-dimensional problems with fault-parallel fault zone structures. Here, we extend previous work to 3D and geometries that are more typical of natural fault zones, including complexities such as flower structures with depth-dependent velocity and thickness, and limited fault zone depth extent. This investigation requires high resolution and flexible mesh generation, which are enabled here by the high-order accurate arbitrary high-order derivatives discontinuous Galerkin method with an unstructured tetrahedral element discretization (Pelties et al., 2012). We show that the healing mechanism induced by waves reflected in the LVFZ also operates efficiently in such three-dimensional fault zone structures and that, in addition, a new healing mechanism is induced by unloading waves generated when the rupture reaches the surface. The first mechanism leads to very short rise time controlled by the LVFZ width to wave speed ratio. The second mechanism leads to generally longer, depth-increasing rise times, is also conditioned by the existence of an LVFZ, and persists at some depth below the bottom of the LVFZ. Our simulations show that the generation of slip pulses by these two mechanisms is robust to the depth extent of the LVFZ and to the position of the hypocenter. The first healing mechanism is dominant for events with hypocenter inside the LVFZ. The second one is dominant if the hypocenter is deeper than a shallow LVFZ. These results suggest that the depth-dependence of rise time might help constrain the depth extent of the LVFZ. We also show that ruptures can spontaneously stop in flower-like LVFZs with uniform velocity reduction, but continue propagating as slip pulses if velocity reduction is depth-dependent. Simulations were performed on Shaheen (KAUST), FRAM (Caltech), and SuperMUC (LRZ, Garching). CP was funded by Emmy-Noether project and Volkswagen Stiftung ASCETE. YH and JPA were funded by the US NSF (Grants EAR-0944288 and EAR-1151926). Research visits of all authors at Caltech and LMU were supported by BaCaTeC. Ben-Zion, Y. and Y. Huang, Dynamic rupture on an interface between a compliant fault zone layer and a stiffer surrounding solid, J. Geophys. Res., 107, doi: 10.1029/2001JB000254, 2002. Ben-Zion, Y., Z. Peng, D. Okaya, L. Seeber, J. G. Armbruster, N. Ozer, A. J. Michael, S. Baris, and M. Aktar (2003), A shallow fault-zone structure illuminated by trapped waves in the Karadere-Duzce branch of the North Anatolian Fault, western Turkey, Geophys. J. Int., 152(3), 699–717, doi: 10.1046/j.1365-246X.2003.01870.x. Beroza, G. C., and T. Mikumo (1996), Short slip duration in dynamic rupture in the presence of heterogeneous fault properties, J. Geophys. Res., 101(B10), 22,449–22,460, doi: 10.1029/96JB02291. 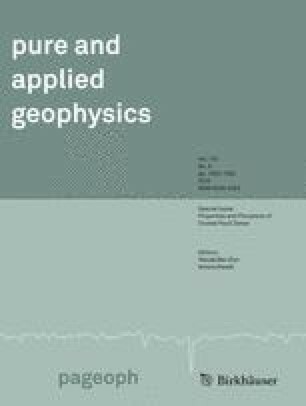 Cochran, E. S., Y. G. Li, P. M. Shearer, S. Barbot, Y. Fialko, and J. E. Vidale (2009), Seismic and geodetic evidence for extensive, long-lived fault damage zones, Geology, 37(4), 315–318, doi: 10.1130/G25306A.1. Cultrera, G., A. Rovelli, G. Mele, R. Azzara, A. Caserta, and F. Marra (2003), Azimuth-dependent amplification of weak and strong ground motions within a fault zone (Nocera Umbra, central Italy), J. Geophys. Res., 108, 2156, doi: 10.1029/2002JB001929, B3. Das, S., and K. Aki (1977a), A numerical study of two-dimensional spontaneous rupture propagation, Geophys. J. R. Astron. Soc., 50(3), 643–668, doi: 10.1111/j.1365-246X.1977.tb01339.x. Day, S., L. Dalguer, N. Lapusta, and Y. Liu (2005), Comparison of finite difference and boundary integral solutions to three-dimensional spontaneous rupture, J. Geophys. Res., 110, B12307, doi: 10.1029/2005JB003813. Harris, R., et al. (2009), The SCEC/USGS Dynamic Earthquake Rupture Code verification exercise, Seismol. Res. Lett., 80(1), 119–126, doi: 10.1785/gssrl.80.1.119. Huang, Y., and J.-P. Ampuero (2011), Pulse-like ruptures induced by low-velocity fault zones, J. Geophys. Res., 116, B12307, doi: 10.1029/2011JB008684. Huang, Y., J.-P. Ampuero, and D. V. Helmberger (2014), Earthquake ruptures modulated by waves in damaged fault zones, J. Geophys. Res. Solid Earth, 119, 3133–3154, doi: 10.1002/2013JB010724 . Kaneko, Y., N. Lapusta (2010), Supershear transition due to a free surface in 3-D simulations of spontaneous dynamic rupture on vertical strike-slip faults, Tectonophysics, Volume 493, Issues 3–4, Pages 272–284, ISSN 0040-1951, doi: 10.1016/j.tecto.2010.06.015. Kurzon, I., F.L. Vernon, Y. Ben-Zion and G. Atkinson, 2014. Ground Motion Prediction Equations in the San Jacinto Fault Zone—Significant Effects of Rupture Directivity and Fault Zone Amplification, Pure Appl. Geophys., 171, doi: 10.1007/s00024-014-0855-2. Lewis, M. A., Z. Peng, Y. Ben-Zion, and F. L. Vernon (2005), Shallow seismic trapping structure in the San Jacinto fault zone near Anza, California, Geophys. J. Int., 162(3), 867–881, doi: 10.1111/j.1365-246X.2005.02684.x. Lewis, M. A. and Y. Ben-Zion (2010), Diversity of fault zone damage and trapping structures in the Parkfield section of the San Andreas Fault from comprehensive analysis of near fault seismograms, Geophys. J. Int., 183, 1579–1595, doi: 10.1111/j.1365-246X.2010.04816.x. Li, Y. G., Vidale, J. E., and Cochran, E. S. (2004). Low velocity damaged structure of the San Andreas Fault at Parkfield from fault zone trapped waves, Geophysical Research Letters, 31(12), L12S06, doi: 10.1029/2003GL019044. Li, H., L. Zhu, and H. Yang (2007), High-resolution structures of the Landers fault zone inferred from aftershock waveform data, Geophys. J. Int., 171(3), 1295–1307, doi: 10.1111/j.1365-246X.2007.03608.x. Pelties, C., J. de la Puente, J.-P. Ampuero, G.B. Brietzke, and M. Käser (2012), Three-dimensional dynamic rupture simulation with a high-order discontinuous Galerkin method on unstructured tetrahedral meshes, J. Geophys. Res., 117, B02309, doi: 10.1029/2011JB008857. Pelties, Christian, A. Gabriel, J.-P. Ampuero (2013), Verification of an ADER-DG method for complex dynamic rupture problems, Geoscientific Model Development Discussion, 6, 5981–6034, doi: 10.5194/gmdd-6-5981-2013. Spudich, P., and K. Olsen (2001), Fault zone amplified waves as a possible seismic hazard along the Calaveras fault in central California, Geophys. Res. Lett., 28(13), 2533–2536, doi: 10.1029/2000GL011902. Wu, J., Hole, J. A. and Snoke, J. A. (2010), Fault zone structure at depth from differential dispersion of seismic guided waves: evidence for a deep waveguide on the San Andreas Fault. Geophysical Journal International, 182:343–354. doi: 10.1111/j.1365-246X.2010.04612.x.